Through a renewed mandate in 2005 aimed at strengthening the coordination of research efforts in Europe, the Standing Committee on Agricultural Research (SCAR) launched a foresight process to consider the prospects for agriculture in 2015 – 2020 and to help identify political answers to the challenges raised. 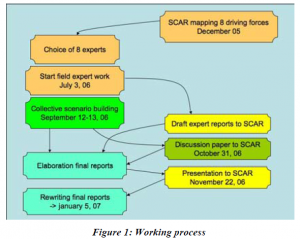 In July 2006, the European Commission’s Directorate-General Research set up a Foresight Expert Group to support SCAR in identifying long-term research priorities to support a European knowledge-based biosociety. The group was given the remit to formulate possible scenarios for European agriculture in a 20-year perspective allowing for the identification of evidence required (for more robust policy approaches) and innovation needs in the medium to long-term. a responsible global player, particularly vis-à-vis developing countries. The point of departure for addressing these policy drives is not to consider them as mutually irreconcilable, but to define the most appropriate and effective approaches for creating synchronous efforts thereby generating added value. The ‘agrienvironmental’ measures in Europe’s Common Agricultural Policy (CAP) have been promoting development that incorporates environmental issues and CAP in general is being reoriented towards a wider rural policy perspective integrating environmental issues and rural development perspectives. The Foresight Expert Group, composed of a chair, rapporteur and eight domain experts1, was tasked to work in close collaboration with the EC services involved and the SCAR working group, under the co-ordination of the Commission’s foresight unit (DG RTD E-3), to review and analyse foresight information relating to European agriculture in relation to eight major driving forces (economy and trade, science and technology, rural economy and regional development, societal and demographic changes, climate change, non-food and energy, environment, health). This analysis was to lead to a working paper for each driving force. Based on this analysis, the group of experts would agree on a minimum of three futures scenarios (20-year horizon) for European agriculture and an analysis of the implications for evidence required (for more robust policies) and innovation needs in the medium to long-term. The work was to take into account foresight activities on a global, European and national level, including other ongoing EU projects in this area. The gathering and analysis of foresight information on the eight major drivers. Preparation of a foresight paper on each of the major driving forces for agriculture in Europe and perspectives for agricultural research. Using the information produced during the first part of the study to conduct a foresight exercise to predict possible futures scenarios (20 year perspective) for European agriculture. On the basis of identified scenarios, to assess the implications for research and innovation requirements of European agriculture over the medium to long term. To present a draft report based on papers presented on the “major drivers” at a foresight conference in early 2007 and production of a final report. The expert group opted for a disruption scenario approach with four scenarios developed through a simple method, whereby each expert identified four “disruption factors” emerging over the next 20 years. These factors were grouped into three blocks: “climate disruption” (the most significant); “energy disruption” and “social” questions: health, safety, employment. The following “wild cards” emerged: “intellectual property” disruption and “monetary disruption”. Four scenarios emerged and a baseline scenario was subsequently developed. Climate Shock starts with climate change and the acceleration of related environmental impacts as the driving disruption factor. This scenario combines a primary business as usual scenario – with differing geographical climate impacts, no European-level action is taken, and a crisis situation ensues – with a success scenario built into it at the end, where positive action is taken on a national level. It underlines a fundamental challenge that Europe will increasingly face with the onset of climate change impacts on agriculture, namely how to coordinate European policy responses to the diverse regional and local impacts of climate change bearing in mind different regional contexts and framework conditions. a strategic research emphasis at the European level to support in the short-term the improved networking of farmers and researchers with a view to addressing urgent knowledge needs, instituting faster mutual learning processes and supporting communities of practice. We Are What We Eat focuses on food health and society as sources of disruption jointly determining a more community and consumer-oriented research agenda. This scenario combines an initial crisis situation with a success scenario approach with clear guidelines for an effective European research agenda. It highlights the advantages of a citizen-oriented research where science and technology are effectively harnessed to address the real needs and concerns of citizens. The main priorities relate to quality, safe and functional foods for a range of emerging lifestyles and technologies to produce primarily citizenoriented enabling environments for knowledge production and exchange together with socially-driven, environmentally effective products, processes and services. Cooperation with Nature focuses on society, science and technology as key joint drivers evolving in a beneficially symbiotic relationship. This primarily utopian scenario projects an ideal situation where science and technology have been effectively deployed to ensure sustainable development at all levels. The key to addressing these needs is the transition to local small-scale production and a shortening and transparency in the food supply chain, and Internet, open learning, and ambient systems creating more globally aware, sustainability conscious consumers. In spite of the excellent performance of Europe’s agro-food system in recent decades, the European Union is now facing a major disruption period in terms of international competitiveness, climate change, energy supply food security and societal problems of health and unemployment. Disruption means fast change, resulting in both positive and negative impacts and thus the main challenge facing agro-food actors is the speed of adaptation and proactive responses to secure a European lead in this area. Systemic approaches show that decentralised systems adapt themselves faster to change than centralized ones. 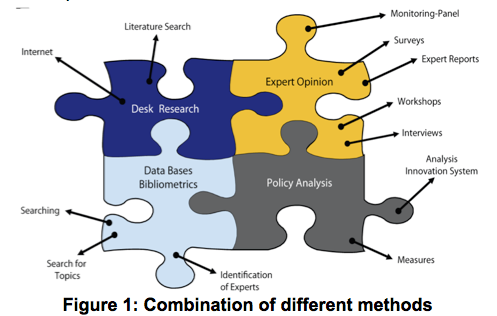 A careful assessment of agricultural research and innovation systems is needed to identify and modify the places where centralised decision-making generates rigidity, in research as in policy. Decentralised adaptation relies on a high performance information system allowing the decision makers, each operating at his level, to use in real time the best upgraded data necessary to implement their rationality. Technology now offers the operational tools to put upgraded data at the disposal of the farmers and decision makers of the food chain and to allow an exchange of experience between actors. Through satellite imaging and Internet diffusion technologies it is now possible to build an early warning, free access information system on climate change and its long-term consequences for ecosystems. This system has still to be developed and marketed and training provided to the end users. The Internet is emerging as a powerful tool for facilitating the development of worldwide networks linking growing communities of practice in a number of agriculture-related areas and themes. 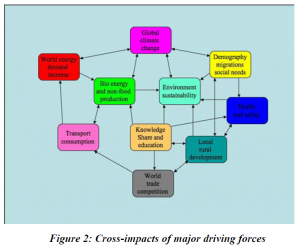 The Internet not only changes the research framework and conditions, but also the link between researchers and endusers of research results and has the potential to facilitate a more proactive engagement of rural communities, farmers and citizens in the design and implementation of ongoing research and knowledge exchange activity. In order to facilitate these interactions, eEurope strategies at the European and national levels need to cater for the extension of broadband access at affordable prices to rural communities, farmers, citizens and other stakeholders. One of the major hurdles facing Europe in making the transition to knowledge-based agri-futures is the need to address the growing challenge of knowledge failures. European agricultural research is currently not delivering the type of knowledge that is needed by end-users in rural communities as they embark on the transition to the rural knowledge-based biosociety. The problems are not exclusive to agricultural research but are felt more acutely in this sector where the role of traditional, indigenous knowledge is already being undermined as a result of the growing disconnection with ongoing research activity. The social dimensions of the shift to the knowledge-based biosociety are rendered more complex by the demographic and mobility/migration factors. They call for new systems of education and knowledge diffusion and careful consideration of the implications for education as we enter a new system characterised by a shift from engineering, physical and mechanical sciences to converging technologies. Knowledge exchange strategies and policies, already in place in the more advanced EU member states, need to be formalised and given a higher profile at the EU level, as stand-alone strategies and not merely as add-ons to research and innovation policies and good practices shared with other member states. Knowledge exchange policies differ from innovation policies per se, although they also inter-connect with them. The main emphasis of knowledge exchange policies is to ensure the relevance and accessibility of knowledge to communities, farmers, consumers, young people and educational institutions. a more long-term high-tech research agenda to ensure that appropriate high-tech research investments are put in place so that Europe’s agri-food industries and rural economies retain their competitive position in global markets. 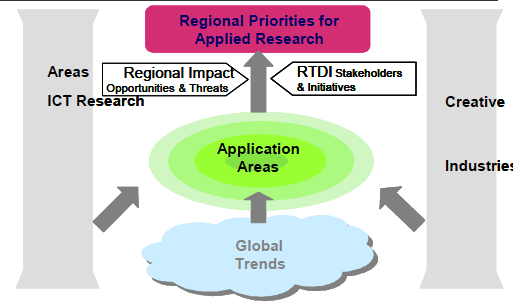 To raise the capacity of rural regions to generate, participate in and translate research developments into economic growth, a regionally-focused, demand-driven approach to research and innovation needs to be developed. 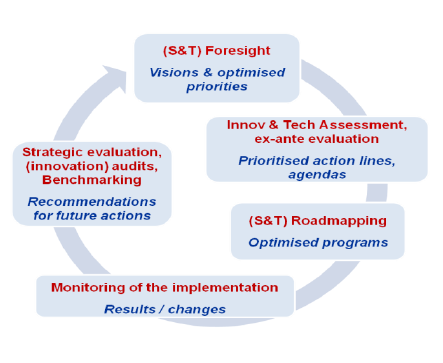 A basic requirement is a dedicated funding system designed (i) to capitalise on regions’ comparative advantage, by mobilising all resources available towards attainment of context dependent and demonstrably attainable goals, and (ii) to exploit good practices and models in the governance and delivery of research, technology implementation and innovation. The competitiveness challenge and demographic decline facing rural communities, combined with reduced global financial support to agriculture, may lead the EU to adopt, under emergency pressure, a temporary protectionist Long-term, strategic and institutional capacities in knowledge transfer, public early warning on ecosystems evolution and decentralised systems of agricultural research and approaches are of even more central importance in the transition from a subsidies-driven to a knowledge-driven biosociety. Continued, active engagement in foresight is critical for enhancing the strategic and institutional capacities of Europe’s agricultural policy-making and research and knowledgetransfer organisations. Gaudin, Thierry et al. (2007), Foresighting food, rural and agri-futures.